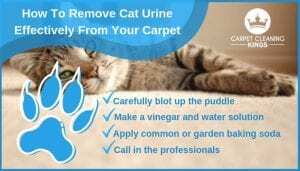 If you have a cat it’s inevitable that at some time you’re going to have to deal with the unwelcome problem of how to remove cat urine. Unfortunately if your cat is sick it might urinate on your carpet when you least expect it. The trouble is, it’s okay drying up the stain, but if you don’t do it methodically and thoroughly then you’re left with a pungent ammonia-like smell that can linger for weeks. With this in mind, here’s what you need to do. Speed is of the essence here. Once the puddle has been located, carefully blot it up using a paper towel. Be careful and try not to rub the affected area otherwise you’ll disperse the urine further into the carpet. If the stain has already dried, then moisten the area with luke-warm water. Mix 3 parts vinegar to one part water to form a solution and spread it liberally onto where the accident occurred. The vinegar acts as a loosener for the ammonia particles that cause that pungent smell. 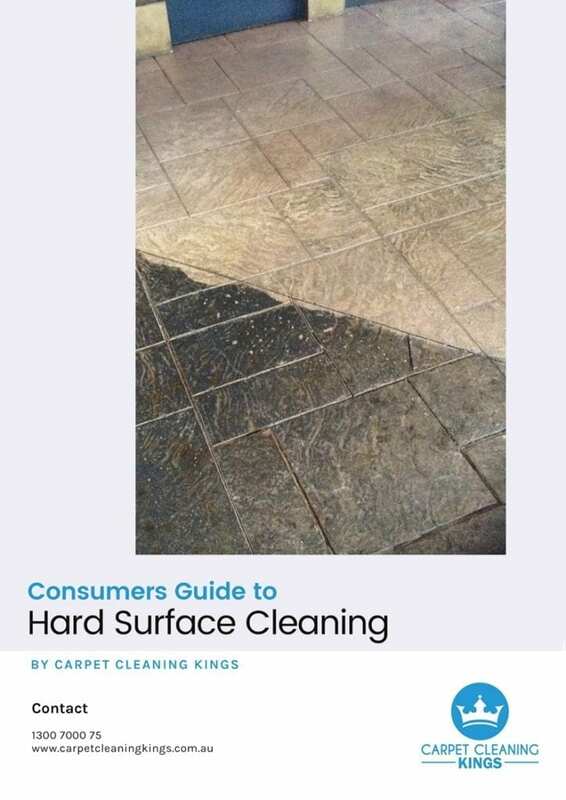 The trick is to be careful not to soak the carpet as to cause damage but at the same time use enough so that the solution gets to work. Once applied, allow the solution to work its magic for 5-10 minutes. Hopefully everyone has this in their store cupboard at home but like the vinegar solution you’ll need to apply it liberally. Baking soda should then pick up all the loosened ammonia particles that cause the nasty smell, but for best results it’s advisable to let it sit for 2 -3 hours. Finally after making sure the areas is dry, give it a thorough vacuum. The end result should be a sweet smelling area with no signs of staining. By following these three simple steps you shouldn’t have to deal with the lingering smell of cat urine any longer. Just remember the quicker you act, the easier it is to remove. 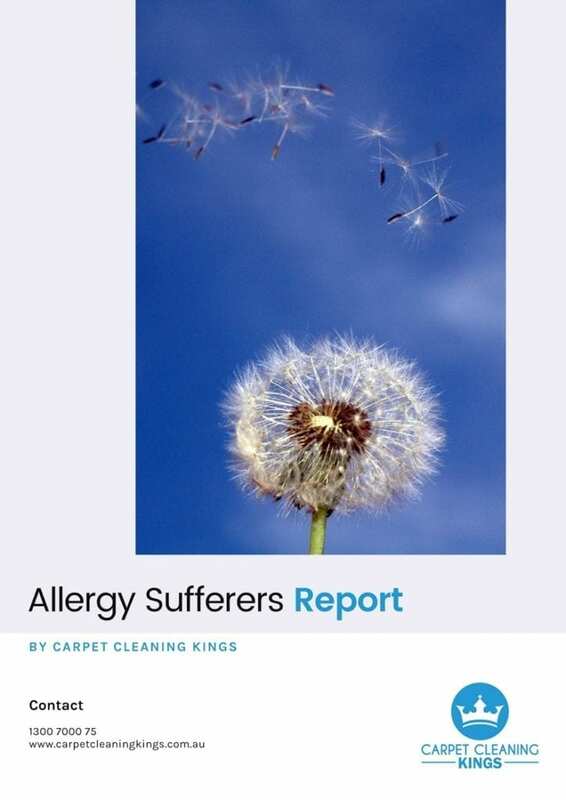 If on the other hand you are unsure of how your carpet is going to react then you might want to play it safe and call in the professionals. 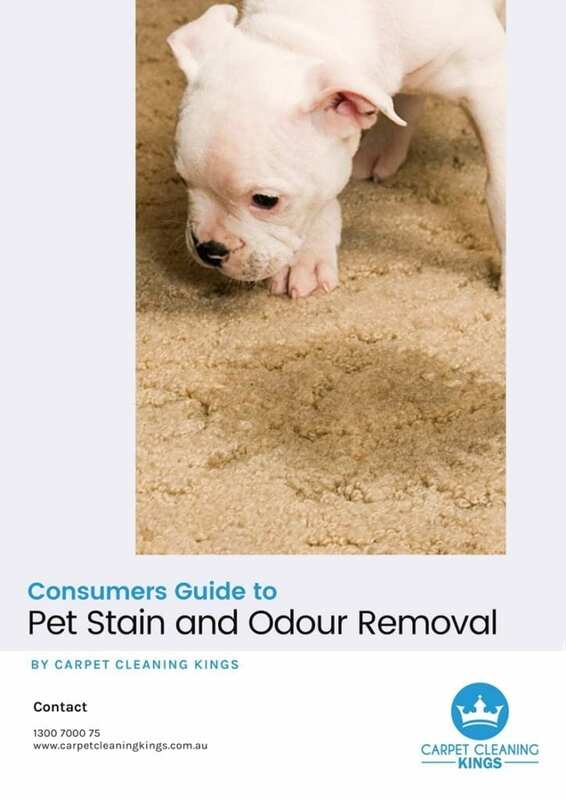 At Carpet Cleaning Kings we have many years of experience within the industry and aside from contract and residential carpet cleaning we also deal specifically in pet odour removal. Using the latest technology we assure you a fresh smelling carpet that will look as good as new. 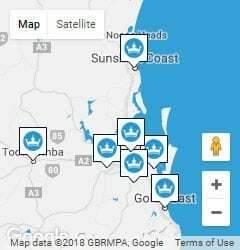 If you’re reside in the city of Brisbane or the surrounding suburbs, then give us a call on 1300 700 75 and let us show you exactly what we can do. 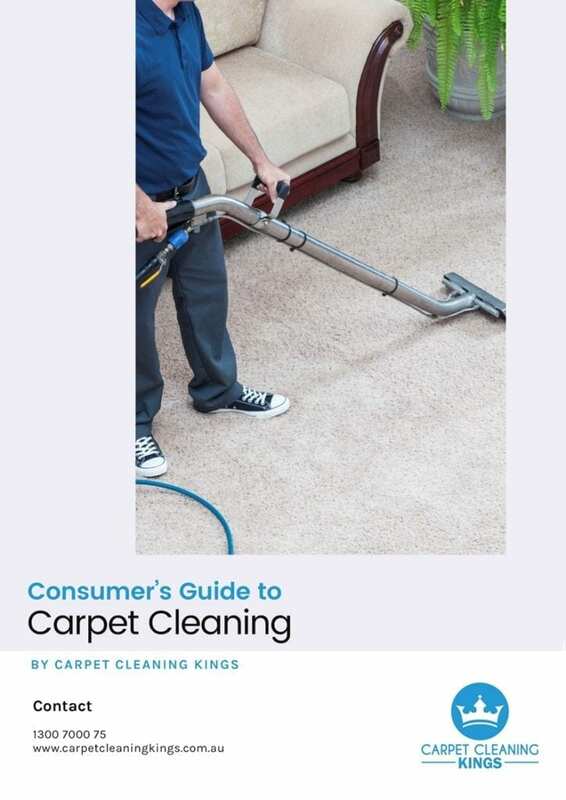 So How Long Does It Take To Dry A Carpet After A Professional Carpet Clean?